Fiendishly complex but endlessly fascinating, the human body’s response to disease is one of the most studied systems in medicine. Whenever we get ill or wounded, an intricate network of cells and chemical pathways spring to our defence, working to strike down invading germs or attack growing tumours. Immunologist Daniel Davis likens studying the immune system to studying the stars and galaxies that make up our universe. His latest book provides an overview of different pieces of the puzzle, and the process by which they were discovered by pioneering scientists over the decades, from the first crude ‘clinical trials’ on smallpox inoculation in the 1720s right up to cutting-edge breakthroughs in cancer immunotherapy. Reading it will give you an idea of just how complicated our ‘galaxy within’ can be. The book is divided into two parts – the first introduces some of the basics of immunity while describing the work that enabled the discovery of different cells and mechanisms. It takes a while to get used to some of the terminology. I regularly found myself flicking back to re-read sections as some of the names of genes or proteins – IFITM3, IL-2, CTLA-4 and TNF to name a few – failed to stick. Part two explores more contemporary research on how various factors influence our immune system, including day and night cycles, stress physiology and ageing. This work may help us fight disease more effectively – there is some evidence to suggest, for example, that vaccines given at different times of day might be more or less effective. Davis goes on to discuss how better understanding immunity may affect medicine in the future, particularly in the battle against cancer and auto-immune diseases such as rheumatoid arthritis. Much as it was interesting to find out about various scientific struggles and dramas throughout history, the research discussed in part two was what really excited me – having struggled somewhat with the first half of the book I devoured the second in two days. Having said that, it was really good to have an insider’s perspective on what it is like to do science. As someone immersed in the field, Davis has better insights than even a specialist writer would, and has met or worked alongside many of the researchers whose stories are told. He is keen to remind the reader that science is not always a smooth process and sometimes goes wrong, that luck is often important and that an effect observed in mice will not necessarily translate to humans. I wouldn’t call The Beautiful Cure an easy read, but the stories it tells are detailed and fascinating. 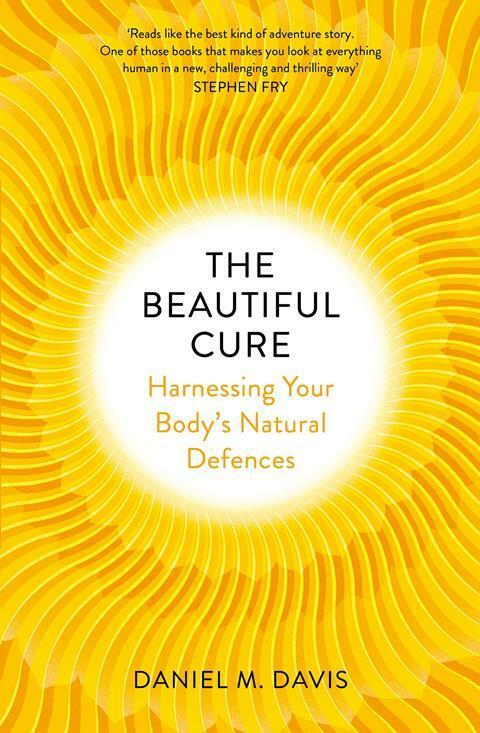 Don’t be put off by the mention of ‘natural defences’ in the title, which gives the impression of a pseudoscientific self-help manual. The book you get could not be further from this.